It is for this exact reason that your curtains need to convey the same luxury and elegance that your play or projection wishes to convey. An audience sat facing tired or drab curtains will not be compelled with the excitement and anticipation you wish to create in order for them to embrace your production in the way you wish. That is why Merlin Interiors specialise in providing exquisitely designed and delivered show curtains, that aim to create the perfect ambiance, taking the breath away from your audience from the moment they enter the venue. 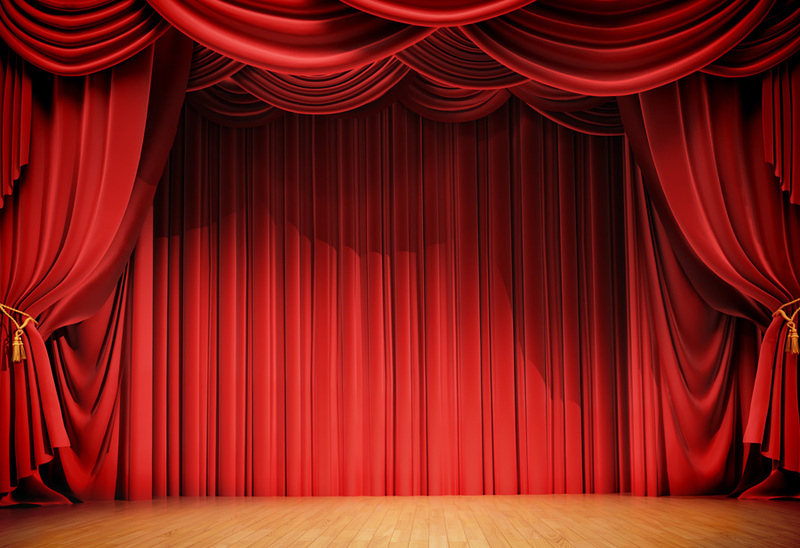 Merlin Interiors offer a large range of fabrics perfectly suited to these commercial projects; including Blackout Lined Curtains (ideal for stage changes) and Fire Retardant Curtains to ensure compliance with Health & Safety policies. For further details, enquiries and estimates please contact us and we will be delighted to discuss your venue and project in more detail.